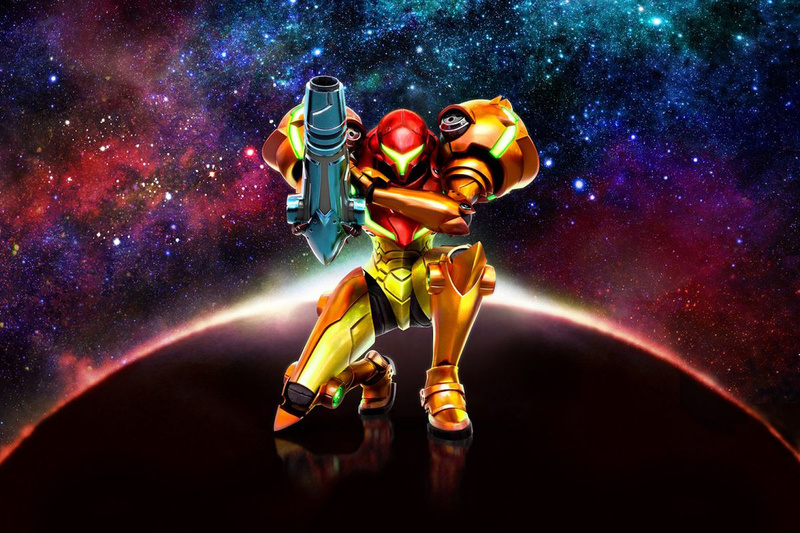 "I’m working on other titles outside of Metroid, of course"
It was already quite a shock announcement for Nintendo to finally reveal that Metroid Prime 4 is currently being developed, but very few would’ve ever called the follow up announcement that was made in a later Treehouse stream in which Metroid: Samus Returns was revealed. Yoshio Sakamoto—a producer who’s worked on a number of Metroid games in the past—was a pivotal part of this surprise project, and he recently shared more thoughts on the development of this game in an interview with Kotaku. I’m working on other titles outside of Metroid, of course. I’ve been fairly busy with stuff. There’s a lot of timing involved when all the pieces fall into place, and we have the ability to do some of these things we’ve been thinking about for a long time. I guess for us the timing was two years ago. Or now. There’s no close proximity to those things. We’re not really in communication. Obviously we talk about, ‘Hey what’re you guys doing, this is what we’re doing, let’s not release these [games] all at the same time, or hey maybe we should release these at the same time.’ There’s that level of communication. Of course [veteran Nintendo producer Kensuke] Tanabe worked on the Metroid Prime series. And he comes and says, ‘Hey this is what we’re going to be doing,’ and lets us know what’s going on [with his team]. What do you think? Are you glad that they’ve finally decided to make another 2D Metroid, even if it is a remake? What do you think Prime 4 will be like? Drop us a comment in the section below. asking the obvious again: why not for the switch? it's a great appetite-whetter for prime4. as a cheapskate, i'd also say it maybe ought to have come free for; offer a discount for; or be discounted with, a metroid prime 4 pre-order. @Jamotello Apparently, they need to help new 2ds owners justify thier purchase. Already pre-ordered Samus Returns for my 3DS. That's how ready I am for this game As far as Prime 4 is concerned, I have to finish the Prime Trilogy (and have fun doing it) before I can speculate on 4. Not a fan of Metroid, but I hope Metroid Prime 4 will be Open World style like Breath of the Wild / Xenoblade 2. I think it will be awesome for Metroid Fans. "That was really my decision. One of the big reasons for that is the 2DS/3DS family have two screens. That lent itself so well to the map screen functionality that I’ve been wanting to put into the game that we hadn’t seen before, the ability to have the map screen always on. So it was a very obvious choice. I wanted to be able to have that free-aiming mechanic, and the analog stick allowed for us to do that. And Metroid, that series, that world-building, that feeling of where you’re at... that level design, all those things combined really make great use of the glasses-free 3D functionality. So if I take that: the 3D functionality, analog stick, second screen, put that all together, and the 3DS [is the best fit]." Basically, "We were already making it for 3DS, and we need something to justify the 2DS' existence." Of course I'm glad. 15 years of frustration finally ends. The best announcement of E3! @Jamotello The 3DS has a much bigger playing base! The Switch has enough big titles coming, and development of Metroid 2 would have started on 3DS anyway. In time it will be ported to Switch. Probably late next year when the 3DS is finally retired and Switch becomes the official Nintendo portable. i think metroid fans don't like open world metroid . Because it's a perfect fit for the 3DS and the 3DS systems are still a relevant part of the gaming industry (especially for Nintendo). To have 2 Metroids on 2 different systems is great. That way more people are pleased (even if Prime 4 isn't coming out any time soon – probably late 2019). I think a 2D styled Metroid game works best on 3DS. To have the map available at all times is a massive plus, especially for a classic Metroid. No more pausing constantly to look at the map. No more wondering "was that 3 rooms or 4", "do I have to go left or was that the next room". With 3D Metroids it doesn't matter since the map is too complex to take a brief look at it. I'd also imagine that the 3D effect will work pretty well with the game and make it look better. @Anti-Matter I don't know if an open-world Metroid Prime would allow the storytelling to happen like it always has in both the Prime and 2D Metroid games. Either way, I'm happy this is coming to 3DS because this is the type of game I do love having that touchscreen for. omg I hope he's working on a new Rhythm Heaven and/or WarioWare game! All I hope for Metroid Prime 4 is that it's a sequel to Metroid Fusion. We need to know what happens next in the Metroid saga! Metroid II: Return of Samus is one of my favorite classic games. A remake on the greatest portable of all time? YES. YES. YES. Can't wait. @HalBailman It would be nice if it was ported to Switch eventually but it's not all that likely is it? Super great 3DS emulation on Switch would be nice in the future. Maybe VC... maybe a Switch adapter card adapter, too? ... maybe you could just hit ZL or ZR to toggle which screen is showing on Switch and use the touch screen... I don't know. As a Metroid super-fan it would be nice to get the new games on the latest hardware, but I'll manage. I am one of the few people who really liked OTHER M. It was a '7' for sure, but I liked what he did with the combat and swinging the controller around to go into first person. It had some great ideas, it was just too short and of course the story felt very lacking for a METROID title. That being said, I think MercurySteam will do a wonderful job under the watchful eye of Sakimoto-san. All of my complaints with MIRROR OF FATE are sure to be addressed. I am very excited for SAMUS RETURNS! It's a perfect time for us to use the HD Rumble thingy for Metroid Switch. I think both metroid games will be good, and not great. And the sales will reflect that. @Jamotello I could see them using this game as a preorder bonus on Switch a year or two down the line for Prime 4. That's why I'm waiting, unless they release it on the cheap. @MakeMyBiscuit: Same case here about Prime 4. I played through Prime 1 a few months ago and am now working my way through Echoes. @chriiiiiiiiiis People said the same thing about Zelda and BotW is a big success. I could see an "open solar system" Metroid, where you have to get in your ship and travel to different planets to solve interconnected puzzles.....that would be kind of cool, actually. I mean Metroid has technically always been open world by nature, hasn't it? The entire game is one continuous, interconnected labyrinth in 2D. Only Prime became linear because of the constraints of 3D. Fusing (see what I did) the concept of 2D Metroids "one big planet to explore" with Primes game-play would really be inherently an open world game. The phrasing of this kind of makes it just seem like they're treating this as a "let's just throw in this extra thing" project, rather than this big comeback they would be putting their all in. Especially with the whole limited-communication thing. Still, I think Nintendo as a whole will supervise their IP closer than Konami would have when MercurySteam put out Mirror of Fate. Looking forward to it. The 3D depth in the downloadable video from the eshop was insane! Its good to see Sakamoto again but I do still think Tanabe has evolved the series better than him. At least now he is acknowledging the legacy Prime set up and not outright ignoring it (my second most major gripe with Other M). Metroid Zero Mission is still one of the best remakes I've ever played. I have no doubt this one will be good as well.